Here are a few tips to keep in mind in order to match your lip color with the overall makeup! Ever wondered why despite of buying all the makeup products recommended by experts, you still don’t have that finesse look you so desire? Why is it that the glossy magazine girls look far better than what you would in real life; even when you are following everything to the T. The answer lies in the fact, are you picking the right makeup which goes with your lip color? Sometimes, we tend to go OTT with the glimmer, shimmer and shadow, which clashes with the eye and lip color. For example, thumb rule in makeup would be, if the eyes are too bright, the lips need to sober down to create balance. Are you following that rule? Let’s take a look on the rules to wear makeup that match the lip color we choose to wear! Indian bridal eyes mostly use a lot of warm tones and a minute touch of cool tones in a mix for the wedding look and the reception look. Keeping that in mind, the thumb rule here would be to use complimentary colors. For example, yellows and browns or golds in eye makeup go very well with the red lehengas and sarees; the lips should complement the hue of the wedding wear too. Safe to stick to colors such as reds, pinks, matte reds and browns or chocolate shades- depending on the skin tone of the wearer too. 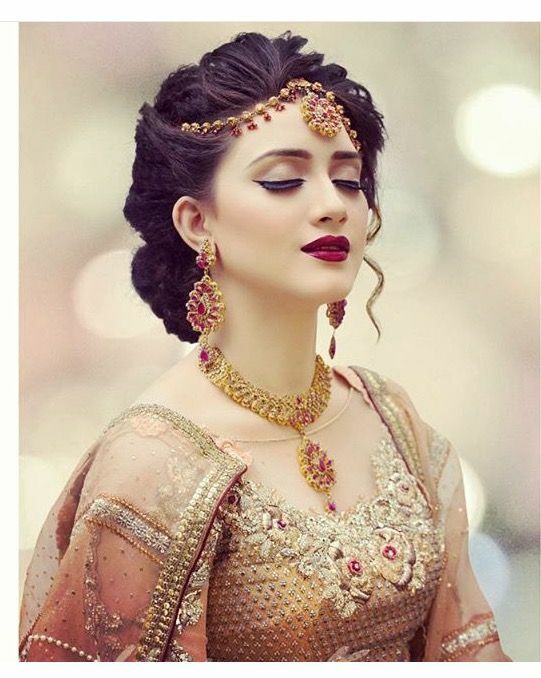 Pre marriage rituals are a week long, and each day comes with a new look for the would-be bride to deck up in. Depending on the colors chosen for eye makeup, Indian brides at their pre-wedding rituals have to choose their lip colors wise. Keeping it a little simpler than the wedding day- plums, pinks, poppy reds, peaches, creamy pinks and bold wines are most used. For those of us that love doing the cat eye each time we deck up, the right balance for the lipstick to use would be something bright. For daytime natural makeup look to wear at work, your lips would be the focal of attention since the rest of the face has a minimal powder touch. A light peachy to pink shade would be the best to use on your lips. 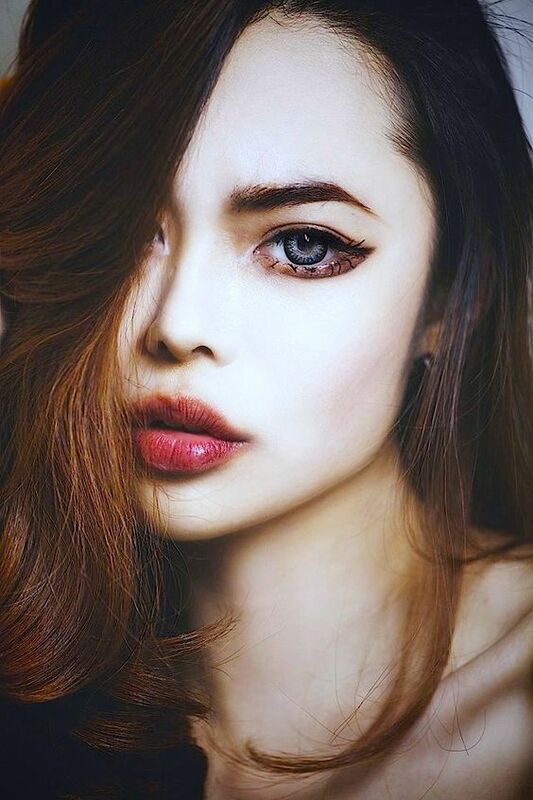 For the PYT at college and wearing her white liner with pride on the eyes, to balance the look and hit jackpot here would be to line the inner tear lines and not the outside; wear tan lipstick or neutral shades in matte to look sensual! 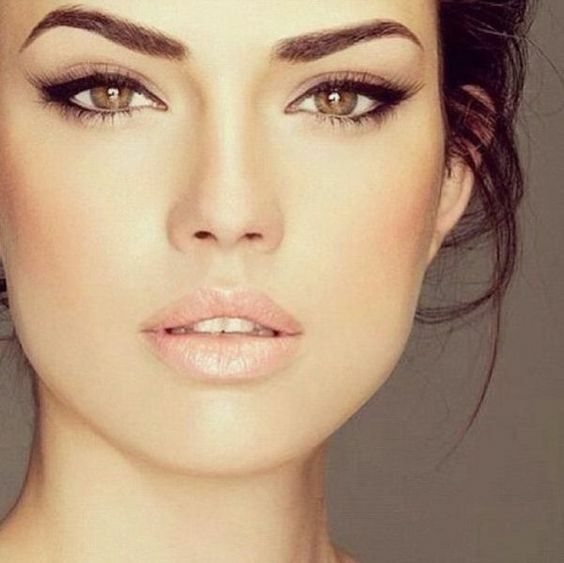 Some of us love experimenting with makeup trends and styles; lining the upper lids only is one of them. This is an almost bare look to flaunt for day time wear, and if you want to pull it off with elegance and grace, your lipstick choice should be in shades of pinks to light orange. If you decide to wear makeup only on the lower lids or line only the lower lids, the lipstick choices should be apt to blend and make a pairing with. What we would look at are shades such as matte tones in cool winter hues– plums, grapes, wines, berries et al! 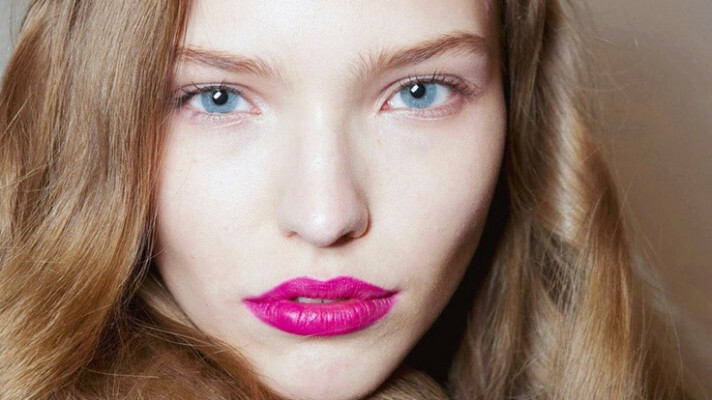 We hope this guide on what makeup to wear with which lip color comes in handy!